This weeks sees the launch of Nails Inc Gel Effect Summer Polishes. The 1st May. Is when three new polishes are added to the current nine colour collection. 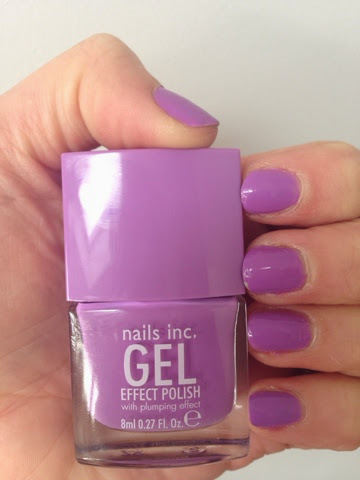 The Nails Inc Gel effect polishes have a high shine finish, bit without the need for UV light to cure the varnish, or soaking off, but in the downside, they obviously don't last as long as a gel nail treatment. The new additions are Regents Place: a cornflower blue (not pictured) Lexington Gardens: a mid purple-lilac and Convent Garden Place: a fun raspberry shade. 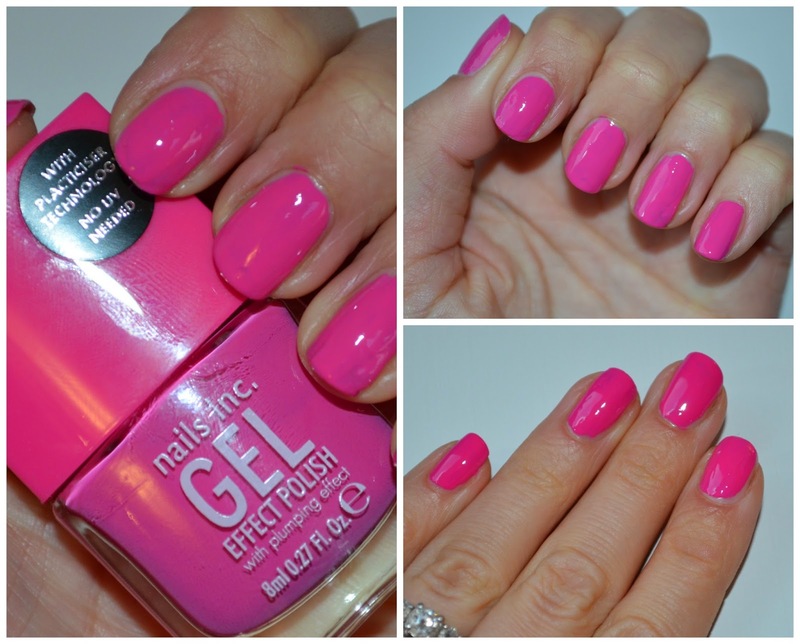 Nails inc also sent me Downtown, a bright pink, which I really like too which is currently donning my talons. Gel effect polishes are generally a bit thicker than normal polishes and do take a little longer to dry, so don't be in a rush when you apply, but I think it is worth it for the super shiny finish. 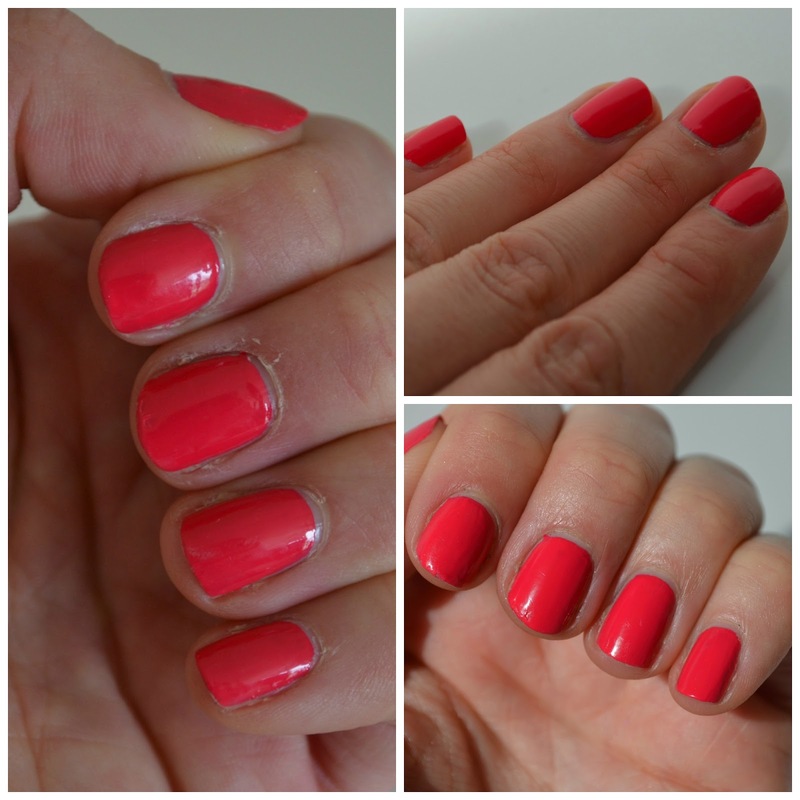 These polishes are £16 each compared their 'normal' polishes at £11.